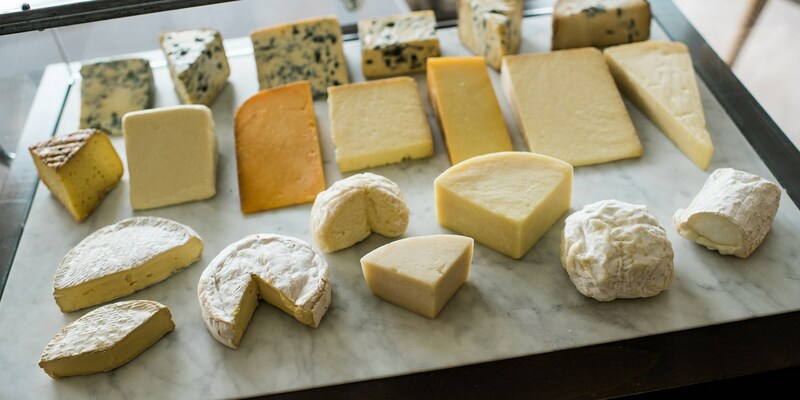 We all love a good cheeseboard, but which cheeses do the UK's Michelin-starred chefs have to sneak a bite of after service? From Montgomery's cheddar to Strathdon Blue, we asked ten of the best to pick their favourites. With over 750 varieties to choose from, chefs have never had it better when it comes to creating a cheeseboard. Instead of the sorry selection of yesteryear which didn’t go further than blocks of industrially produced cheddar, red Leicester, Stilton and perhaps something studded with cranberries, we now have access to artisan ewe’s milk, bloomy wheels, waxed truckles and deep-veined blues. There are so many, in fact, that restaurants are often able to source their entire cheese selection from within their own county. But if forced to choose, which varieties would Britain’s Michelin-starred chefs pick? Does cheddar reign supreme, or are the newer, modern cheeses being devoured behind closed kitchen doors? Hear what ten dairy-obsessed Great British Chefs had to say on the matter, and plan your next cheeseboard accordingly. ‘There is no doubt that cheddar is, or at least can be, one of the world's finest cheeses, and at its best it is the best. Don't be fooled by the mediocre offerings purporting to be the real thing; a mature cheddar from Barbers, Montgomery’s, Keen’s or Quickes is the best cheese you can hope for.